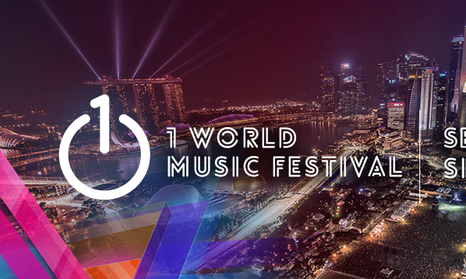 In a shocking twist of events yesterday, the much anticipated One World Music Festival was cancelled, just less than 48 hours before the event was due to happen this Friday and Saturday. The event was supposed to showcase celebrities such as Moby, Snoop Dogg, Iggy Azalea and Far East Movement, amongst others performing during the weekend the Formula Once race was supposed to happen. “It is with much regret that Retfar Entertainment has called off 1 World Music Festival due to unforeseen circumstances. The organisers of the event would like to thank everyone that believed in this event and who planned to attend and also apologize for this unfortunate conclusion. The staff of 1 World Music Festival is a passionate group and everyone involved in putting this event on were dedicated and very disheartened at this turn of events. All support shown for this event has been very much appreciated. According to a report by Popspoken, a local pop-culture website, production and licensing issues were reasons that caused the event to be cancelled. When Marketing Events contacted Retfar Entertainment, the company declined to comment on this or any reasons for the event’s cancellation, saying that it would send out an official statement later today. It also did not comment on what would happen to its sponsors. MTV, who is the official music channel for the event, shared that the brand’s role for this event is to provide visibility to the event and that the channel is still in the midst of discussion with the event organisers to settle this issue. According to Moet and Chandon, the “official champagne” for the event, internal investigations are still ongoing and that the brand is still in talks with the event organizers, said its spokesperson. Other brands that Marketing Events reached out to include Red Bull, 987FM, SingTel and AirAsia. SingTel declined to comment while the rest could not comment at the time of publishing. Disappointment and anger ran high on the One World Music Festival Facebook page, with fans commenting that they flew in especially for this event. However, there were fans that stood by the event organisers as well. “I pity the organisers. A lot of work went in to pull this off, with a thousand risks and issues to deal with, not to mention the financial losses to break the contracts with the various performers and vendors,” posted a user on One World’s Facebook page.